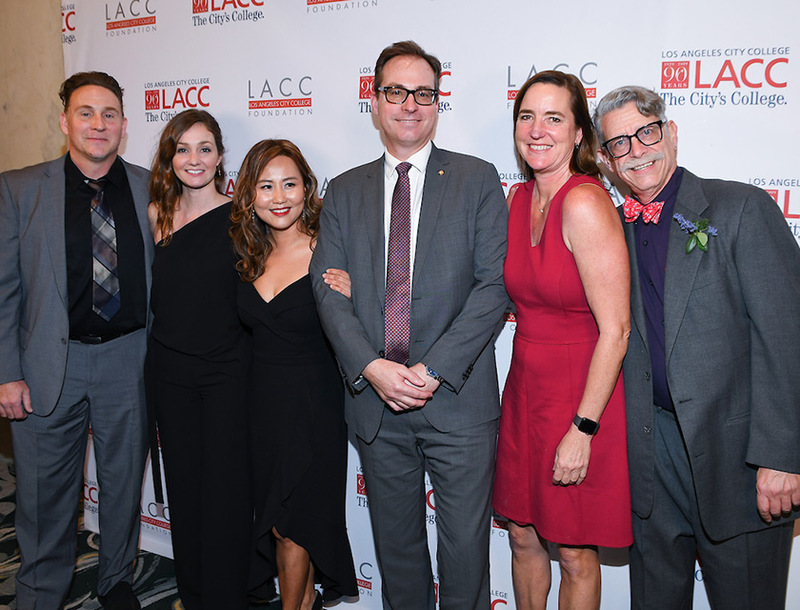 The Los Angeles City College Gala, celebrating the 90th Anniversary of LACC, took place on Tuesday, March 12 at the Beverly Wilshire Hotel. Tiffany Haddish presented her mentor Laugh Factory owner Jamie Masada with the Rodney Respect Award. CEO and founder of The Gilbert Group Dennis Gilbert and Englander, Knabe & Allen founder and CEO Harvey Englander were honored with the Outstanding Alumni Award. 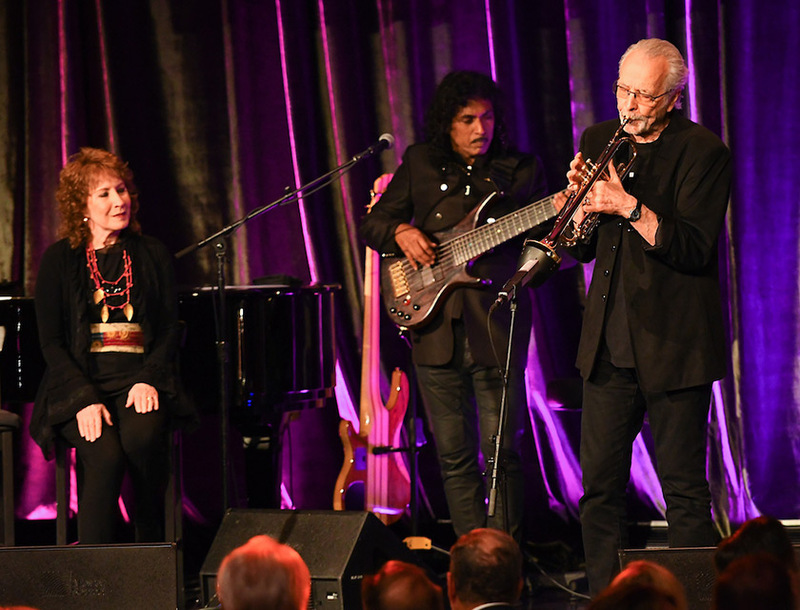 Actor and Comedian Robert Wuhl hosted the event, which also included an outstanding musical performance by the legendary multi-Grammy award winning musician Herb Alpert and singer Lani Hall. Here in Los Angeles, we know that our most sacred duty is to make sure the doors of opportunities are open to everyone, regardless of their zip code or their background. So whether you're a veteran, an immigrant, or just an Angeleno ready to take that first step towards realizing your dreams, we know that Los Angeles City College and its foundation are here to lift you up, help you transform those dreams into a future bright with possibility. Thank you to Robert Schwartz, thank you to the entire board, and thank you for believing in the young people, and all people here in Los Angeles. For 90 years, Los Angeles City College has been providing inner-city students with educational programs that prepare them for highly skilled jobs, or the ability to transfer to four-year universities across the United States to continue their education. I chose LACC because of this history, they call it the flagship of all the community colleges. LACC's affordability is important to me because I want to save up the funds I have for my later education, and when I looked into it I was amazed at how affordable the programs are and how good the facilities are and the teachers. In September of 1929 LACC opened its doors on 49 acres of land formerly occupied by UCLA. Over 1,300 students, and 54 teachers took part in the first graduation ceremonies on the campus, which over the next 90 years would include a Student Union, a library, computer labs, fitness centers, a state-of-the-art theater, and Ultra HD TV and film studios. The student body is one of the most diverse in the country, ranging in age from late teens to seniors, and representing every ethnic group, culture, and country in the world. One of the things I love the most about LACC is that we have always had diversity, and we have always embraced diversity because it's just a melting pot of success, and I feel like it's that diversity and the power of diversity that makes the school way it is today. As the original College in the Los Angeles Community College District LACC currently has over 500 thousand alumni. Many of LACC's graduates have achieved notable success after getting their start at LACC. Prestigious graduates include Nobel Prize winner Lawrence Klein, award-winning composer John Williams, famed architect Frank Gehry, acclaimed artist Kerry James Marshall, Star Trek creator Gene Roddenberry, jazz pianist and vocalist Les McCann, iconic actor Mark Hamill, dancer and choreographer Alvin Ailey, and Academy award-winning actors Clint Eastwood, Alan Arkin, James Coburn, and Morgan Freeman. Where did you learn to to speak so beautifully? I went to school, and in that school, Los Angeles City College, I had a voice and diction instructor who was very good at his job. So you actually learned something in college? Recently with the assistance of the LACC Foundation, the college launched a branding campaign throughout Los Angeles, which is appearing on billboards bus shelters and on social media. The campaign highlights the diversity of the student body, and what they value about the college. We call the campaign "My LACC"
Take a look at my LACC. None of this would be possible without the LACC Foundation, It leads the way in fundraising for the college. Established in 1968, the foundation has been offering financial support to LACC students from underserved communities for over five decades. I have gotten debt-free going to the school with the scholarships they've set me up for success here in Hollywood. Some students face extraordinary challenges on their journey to get an education. Hurricane Maria was a big change, it devastated my family, it devastated a lot of Puerto Ricans. It was a whole chain of events that made things harder for me to be able to depend on them. And having the Foundation really helped me be able to obtain my education. With the Mennes Scholarship the Foundation has helped me with my rent, and my bills. In the past 20 years the foundation has provided over 7 million dollars in financial support to more than 13,000 students. What we're really excited about at the Foundation is that in the past few years we've been able to reach out and engage with far more alumni and donors. The result of all that of course, is that we then can have a great impact on the students on this campus and make sure that all of them have the resources that they need to succeed. With a full-time staff of nine, the Foundation is working hard on behalf of LACC students who apply for scholarships or need financial assistance in a variety of ways. Many of LACC's students come from the most challenging areas of LA County. Where 65% of households are living below the poverty level, and were 70% over the age of 25 do not have a high school diploma. These programs offer deserving students a wide array of scholarships including: two scholarships for high achieving high school graduates, a program for emancipated foster youth. There are programs for theater students. Cinema and television students. And combined with a Rodney Dangerfield Institute for comedy, LACC students can now learn about all aspects of the entertainment industry. Additionally there are scholarships for music students, and a STEM Academy providing resources for science, technology, engineering, and math. The Foundation continues to provide support for LACC's military veterans. And recently the LACC Foundation has had a profound effect on the community with its food bank, that feeds over 3,500 people each week. Community colleges offer America's students an excellent low cost education close to home, with the ability to choose the right major, and a chance to succeed in life. 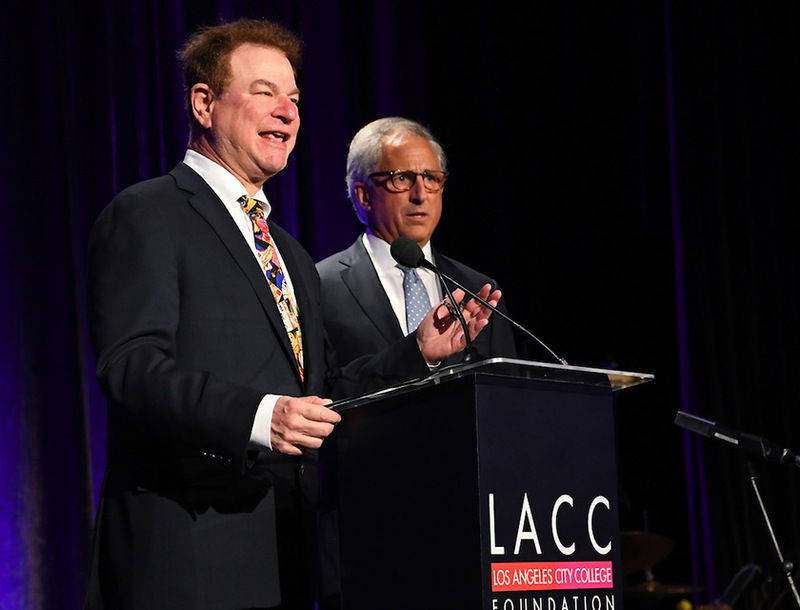 When I think about all that this school gave me, the tools that it provided that I've used throughout my career, I would urge anyone within the sound of my voice to donate to the LACC Foundation. Tiffany Haddish presented her mentor Laugh Factory owner Jamie Masada with the Rodney Respect Award. Masada, who founded the iconic Laugh Factory, has helped launch the careers of countless comedians including Tiffany Haddish, Kevin Hart, Ali Wong, and Dave Chappelle. Masada joins an impressive list of prior Rodney Respect Award recipients including Jim Carrey, Tim Allen, Chelsea Handler, Brad Garrett, Kelsey Grammer, Chuck Lorre, Louie Anderson, and Jay Leno. 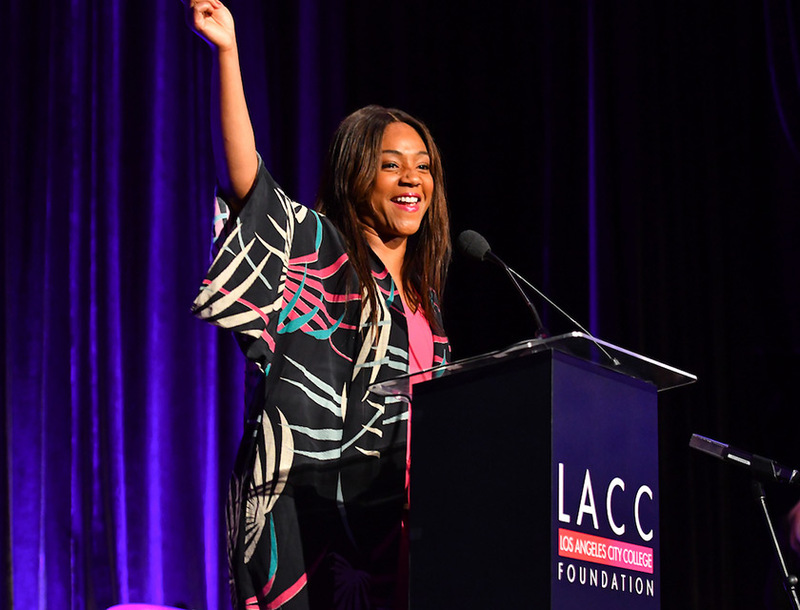 Tiffany Haddish, who got her start at the Laugh Factory’s Comedy Camp at the age of 15 and has gone on to become one of Hollywood’s biggest stars, presented Masada with the award. CEO and founder of The Gilbert Group Dennis Gilbert and Englander, Knabe & Allen founder and CEO Harvey Englander were honored with the Outstanding Alumni Award. Renowned sports agent Dennis Gilbert received the Outstanding Alumnus Award for his great success in the insurance industry, achievements as one of baseball’s leading agents and as an advisor to the President of the Chicago White Sox. As Co-Founder/Chairman of the Professional Baseball Scouts Foundation, he has raised more than $1 million to help scouts who have fallen on hard times. He has also spearheaded building an inner-city baseball field at Southwest Community College, home to baseball’s RBI Youth Program. In addition, he is a champion of social justice and a mentor to many. Harvey Englander received the Outstanding Alumnus Award. Harvey founded EKA in 2005 to provide a superior level of public affairs and government services in Southern California, becoming the largest independent public relations agency in Los Angeles. Harvey has created and successfully led hundreds of public relations, political, and public affairs campaigns and has rescued numerous political campaigns and careers that appeared to be on the verge of defeat. He was named one of the 500 Most Influential People in the County by the LA Business Journal in 2016 and 2017. Thank you to those who attended and contributed to our 90th Anniversary Celebration. We are deeply grateful for your generosity and your commitment to LACC students. If you were unable to attend the event but would like to join the 670+ attendees in supporting LACC, please consider making a donation to the LACC Foundation. Your contribution will go directly to providing scholarships, meals, and textbooks to deserving students who need an extra measure of support to achieve their goals. During the past 20 years, the Los Angeles City College Foundation has provided in excess of $7 million in financial support for students, many of whom come from the most challenging areas of Los Angeles County where 65% of households are living below the poverty level. 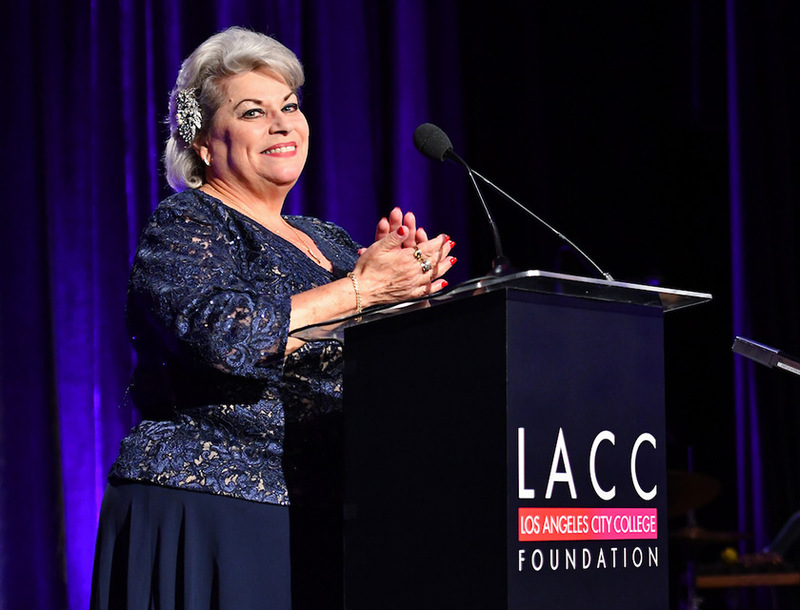 Monies raised at the 90thAnniversary Gala will go directly to fund scholarships, stipends, book vouchers, and other support provided to LACC students.